Companies producing machinery are often asked to develop their products to accommodate faster operation times while increasing the reliability of the machine. However, a small design change can lead to issues in other areas. For example, when speed increases it often causes inertial loads and vibration, leading to earlier breakdowns. In the past at Kosme, a producer of a full range of turnkey filling, labeling, capping, packaging and conveying solutions for beverage products, engineers used hand calculations to estimate the performance of components and built physical prototypes to evaluate system performance. Problems were frequently discovered during the prototype stage. These problems often required many iterations of revisiting the design and modifying and re-testing the prototype. A customer in Argentina had asked Kosme to build a bottle-boxing machine capable of processing 36,000 bottles per hour. 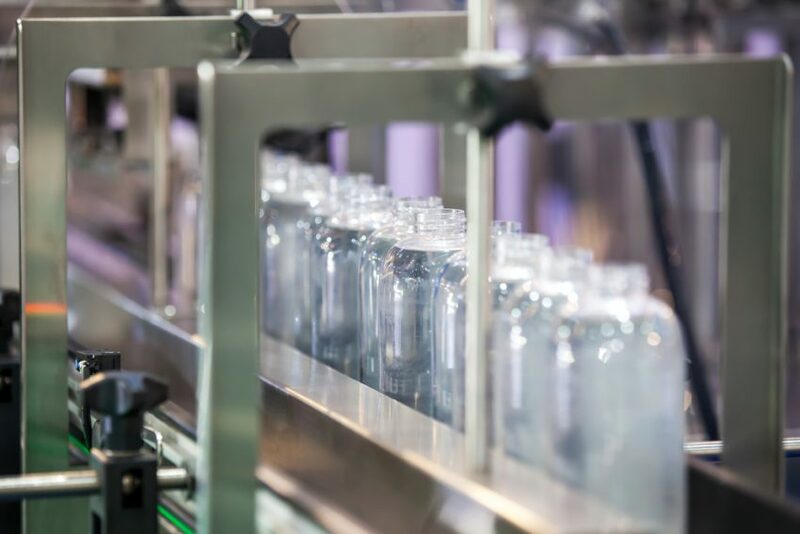 This represented a substantial increase over the previous generation of machines which were only capable of processing 24,000 bottles per hour. Kosme engineers began the design process by importing a CAD model of the previous design into MSC’s Adams. They added higher-fidelity features such as contacts, bushings, motions, couplers and more complex joints. The previous machine generation was designed using Adams under the assumption that all machine components were composed of rigid bodies. To achieve the higher levels of performance required for the new machine, MSC Nastran was used to produce finite element models of critical components such as the arms that carry the bottles. The finite element models were incorporated into the Adams model as super-elements using a modal neutral file that describes the geometry, nodal mass and inertia, and generalized mass and inertia for each mode shape. The model behaved nearly the same as the previous generation machine, making it possible to begin evaluating alternative solutions for the new generation by modifying the model and measuring the impact on machine speed and vibration. The finite element model revealed the stress in components under actual machine operating conditions. This made it possible to improve component design by reducing mass in low-stress areas and adding mass in high-stress areas. Using this process, the mass of critical moving components was reduced by 20% to 30% while reducing stress levels. The finite element model also identified the resonant frequencies of the components and in several cases geometry changes were made to move these frequencies to avoid potential excitations. The dynamics simulation in Adams was used to evaluate the performance of the complete machine at various speeds including potential vibrations. Each design iteration took between one and two days and didn’t require any hardware, which meant that the design process moved much more quickly than would have been possible using the old build-and-test approach. The simulations also provided much more information than could be gained from physical testing, such as displacement, acceleration, loads and torques of every node in the model throughout the time period of the simulation.